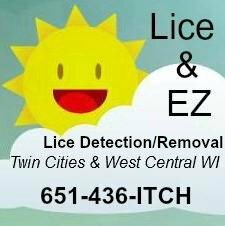 The chart below is a comprehensive list of Wisconsin lice removal professional services. Some of these businesses are run as treatment centers for head lice, which are sort of like hair salons. Children can watch DVDs while the professionals comb lice and nits from their hair. Other companies will travel directly to private homes in order to treat and remove head lice. Please contact these businesses directly for further information. Know of another service that should be added to this list? Just fill in the form below and we'll take care of it. Do you run a lice removal service? Check out your listing options here, and then fill out the form for a free listing.